This past weekend we spent some time in the windy city! Array visited the IHA trade show to assist Home Products International (one of our long-standing clients) who was exhibiting and to attend as trade show guests to check out the latest product trends for all areas of the home. Together with HPI, Array helped to develop the overall design of the booth, mock packaging, signage and point of purchase graphics to represent their brand in the best light. This trade show has the latest products from over 2,100 suppliers assembled from around the world. 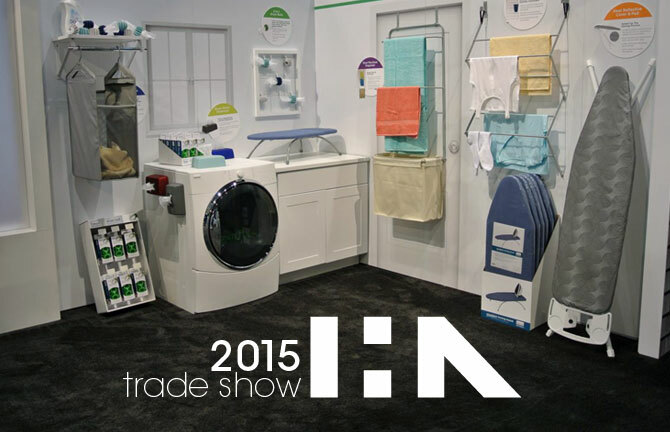 Over 60,000 homegoods professionals were on hand to reveal innovative new products. The show was held from March 7-10, is operated by the not-for-profit International Housewares Association and represents professionals from more than 100 countries. This show draws in 21,000 buyers looking to stay ahead of the crowd and use their expertise in forecasting future best sellers that will make them successful. The show was a huge success and a great experience from a trend watching perspective. We can’t wait to attend in 2016!